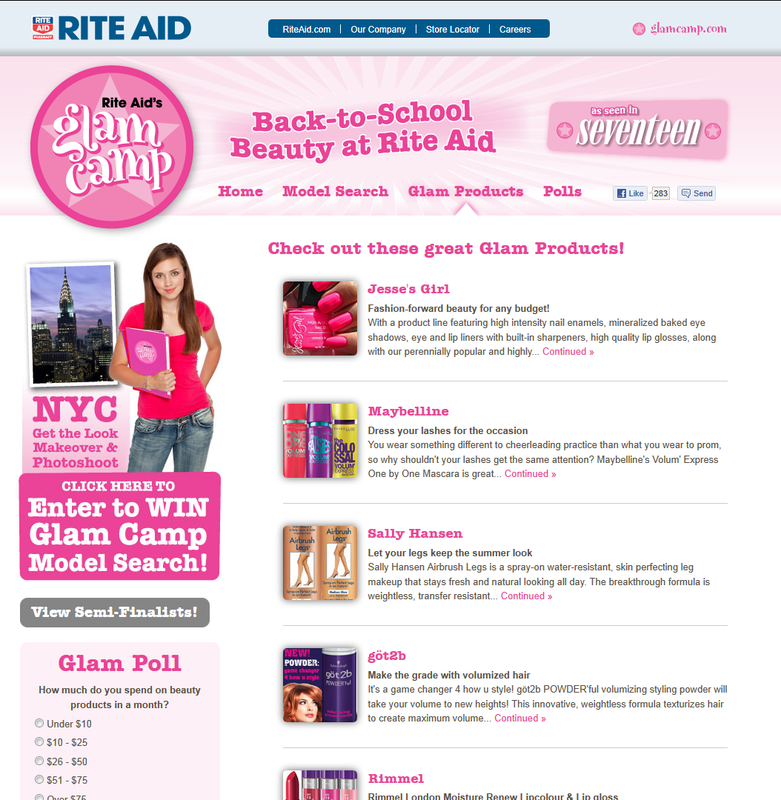 Rite Aid's Glam Camp Presents Jesse's Girl Cosmetics! So you know how I hinted at the super secret beauty project a couple of weeks back? Now it's live! Jesse's Girl Cosmetics invited me to take some photographs and feature a water marbling look using their products for Rite Aid's "Glam Camp" website and Glam Book. 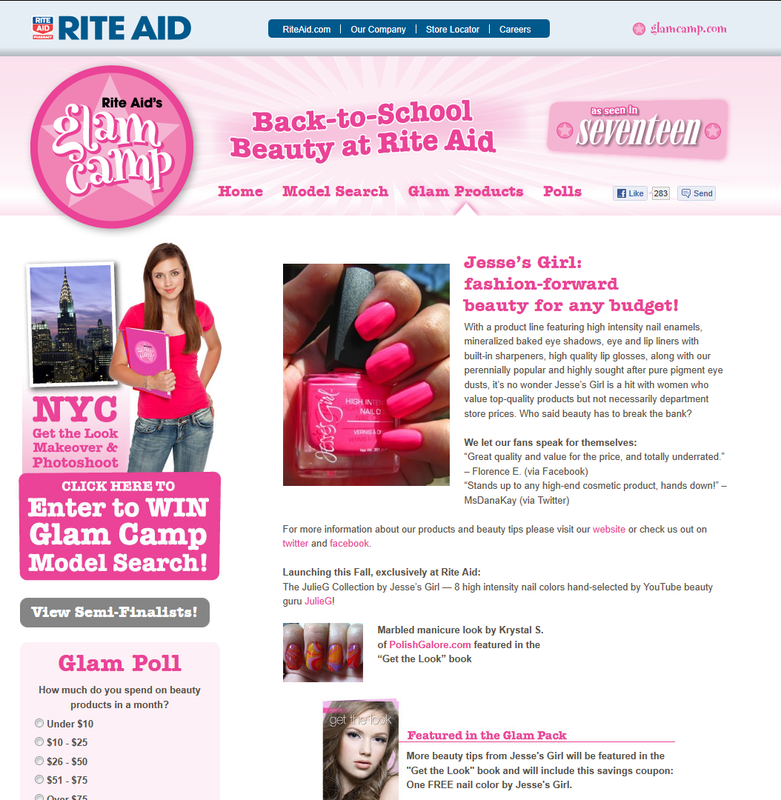 Glam Products page - there are my nails! Jesse's Girl's page with my nails & my water marble! If I get a chance to get a copy of the actual Glam Book (probably in October), I'll be sure to show everyone, and the actual Water Marbling tutorial will hopefully be posted on Jesse's Girl's website or I'll scan in the page here (or something - heh). The Glam Book is being distributed to some 200,000 subscribers which is SO awesome for me. I haven't done anything this big in print since I worked with Teen People as a teenager! Thank you Jesse's Girl and thanks to all who support PolishGalore! 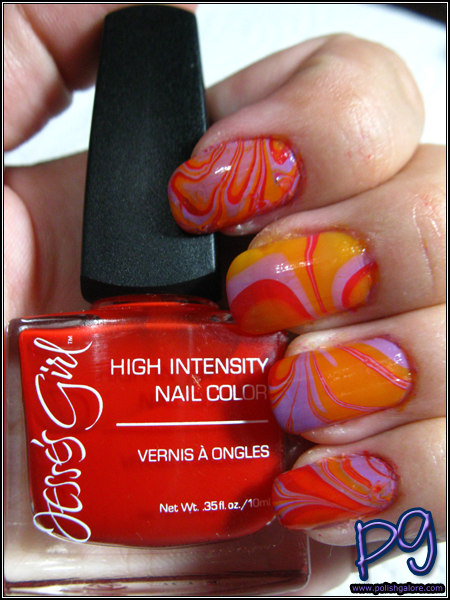 Bonus picture - here is the completed water marble :) Colors used: Wham Bam, Crush and Spring Break from the core line. Your nails are famous. How exciting! !